Happy Friday! Today's post is all about getting that relaxed look to jump start the weekend. Boyfriend jeans are usually my go-to items for Fridays and weekends. I love this loose fitted jeans paired with heels like the Sophia Webster sandals above. Sometimes, I prefer birkenstock flats or brogues for quick errands to the store or to visit friends and family members. This is what I call my weekend uniform. My new daily item is my aiirkey bag. 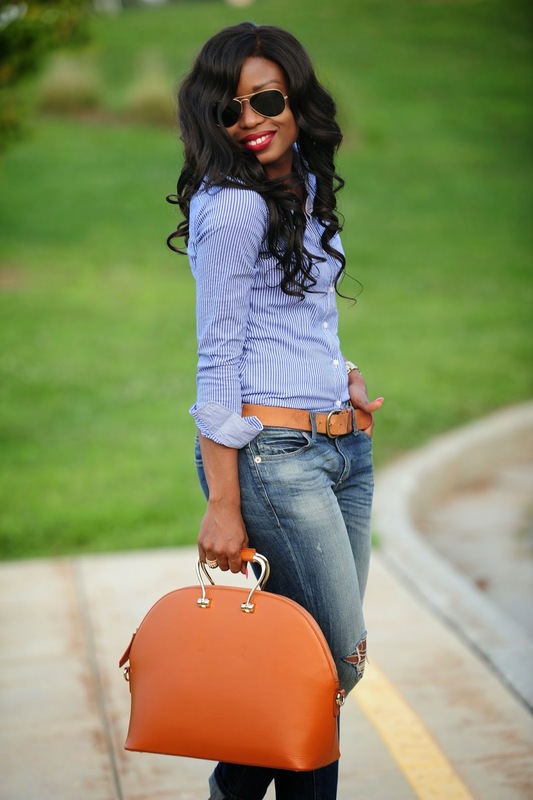 It is a perfect bag to take to work and for casual outings. I love the structure and removable strap﻿...I definitely wouldn't mind a red one. I love those jelly heels! You are so fabulous! so chic! This is casual wear at it's finest! Always admired your style. Good job. What a fabulous look! You look amazing! I love that bag too! HOT! 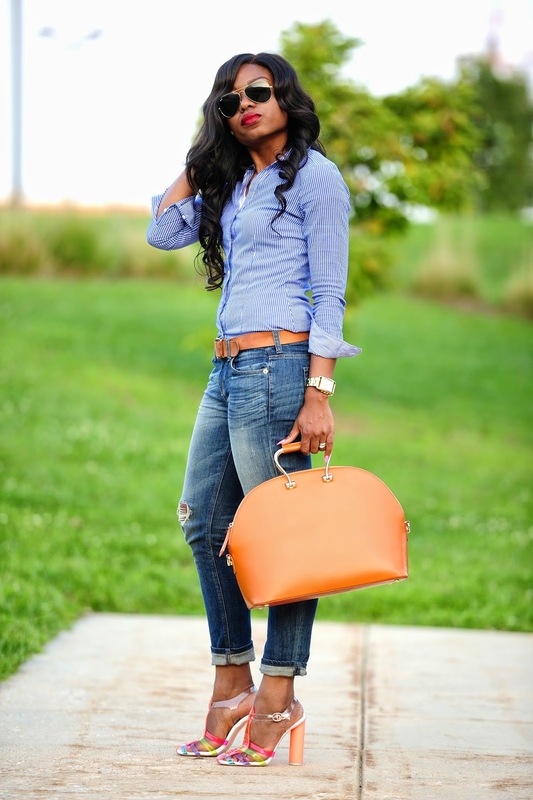 The bag is gorgeous , and I also think jeans are the best choice for casual outfits . The sandals are very pretty. This is such a cute casual look, I really like both pairs of shoes!!! Blue color is the most genuine color in causal clothing and it looks so beautiful on dark skin, like this girl looking amazing. This is totally my casual Friday style at work! I am a Sophia Webster addict and these Jelly Heels are adorable!